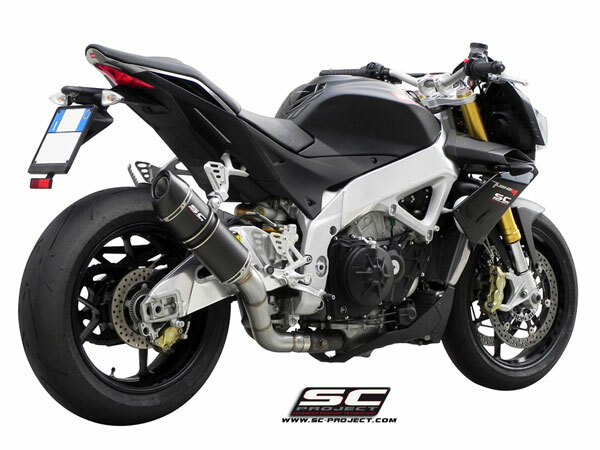 SC-Project presents the new slip-on silencers specially created for the new Aprilia Tuono V4 powered by a revolutionary 4-cylinder, 65° “V” motor. 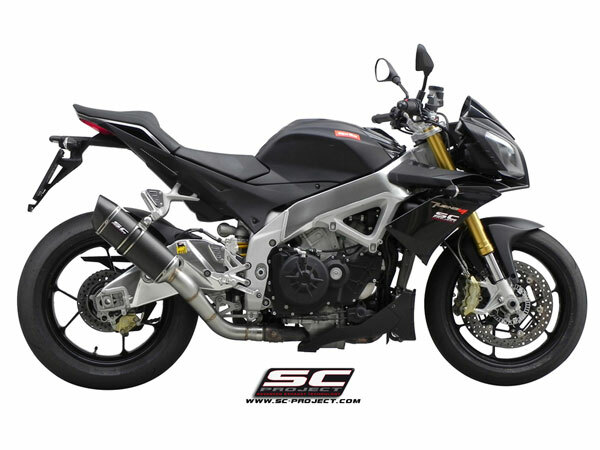 Short and light, the new silencers confer a unique aesthetic to the ultra powerful sports bike from the house of Aprilia, further slanting the rear and the very short tail which characterise the bike, and also lowering the weight of the SC exhaust by 3.5kg compared to the original exhaust. 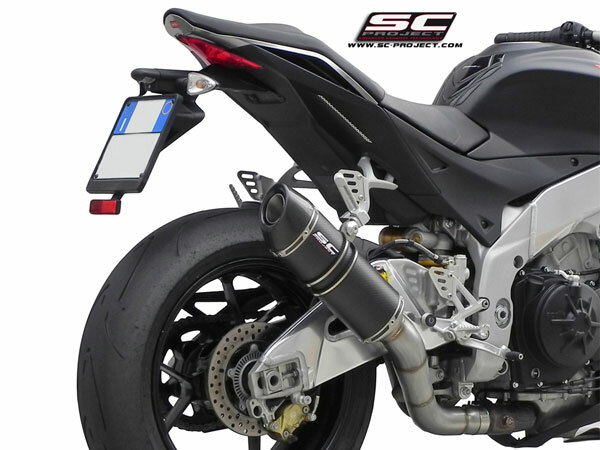 The connecting pipe with the original manifolds is made with a conical form 54>70mm and is so designed to guarantee maximum performance in conjunction with the Aprilia V4 motor. 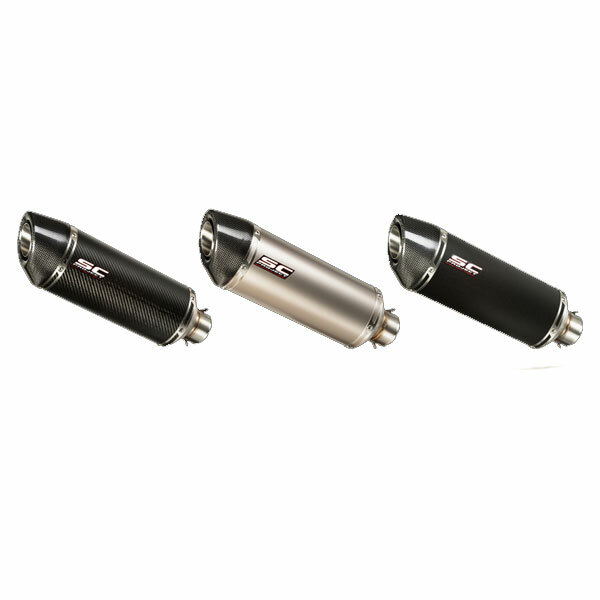 In terms of performance the increase in the maximum output is over 3.5hp and with an already greater torque increased from 4,000rpm up to the high zone of the engine range.